Like most other American families, our family likes to watch television. Our oldest children grew up on Sesame Street, Ned’s Declassified School Survival Guide, and the original Disney Channel programming; while my husband and I set the channel to Flip This House and ER. Eventually rising costs caused us to dump the paid programming. We adjusted to the change by attaching an antenna (aka bunny ears) to the television and tuning into the free local stations. Person of Interest and old episodes of Gilligan’s Island quickly filled the void. Then a few years ago we decided to go on a TV fast for the season of Lent. As a family, we committed to stay tuned-out from Monday through Saturday (okay the kids didn’t really have a choice). 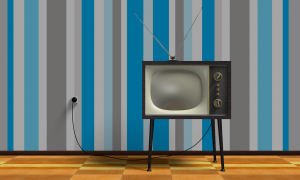 Instead of frittering away our time in front of the box (you can insert whatever name comes to mind for the TV) every day, we learned to rewire our entertainment brains. Amazingly (not really), we all found a renewed interest in board games, books, hobbies and toys. These renewed interests in and of themselves were a great benefit, but the greater gain came afterward when Lent ended. We turned the television back on, but we did so with a few changes. We established permanent no-TV days for the week, set stricter time limitations on our viewing hours, and watched more DVDs in place of standard program series. In a nutshell, our fast from TV helped to wean us of our communal habit of mindlessly hitting the ON button when we had free time to spare. I won’t lie and say that the kids never ask to watch the television on a non-media day, but they definitely aren’t surprised when the answer remains, “No.” And they quickly turn to self-entertainment options without a battle. As time passes, we’re facing even more challenges to our viewing habits. While that first fast helped us to make the leap toward a stricter schedule and more discernment in our selections, the availability of local channels is decreasing and the content on the remaining channels is increasingly objectionable (even for the adults in the household). As a result, we’ve begun relying almost exclusively on DVDs. British serial programs are a favorite for my husband and me. Our children enjoy watching all of the old family movies. We don’t have the ability to stream movies, so we’ve all learned to patiently await the arrival of a DVD in our mailbox (we currently use Netflix‘s movies by mail option). Though we’ve found an ample amount of choices through Netflix, I’ve recently discovered a company that specifically caters to Catholics. Pius Media is a small, family-owned business that also offers a membership service for DVDs by mail, but they only offer Catholic movies. If you are in the market for great films on the lives of the saints, children’s movies, conversion stories from the greatest apologists, Catholic-friendly Hollywood movies, and some great old television series at an affordable price, then check out Pius Media. Of course, if you have access to cable or satellite Eternal World Network (EWTN) has all that you could want in Catholic programming. From daily Mass to EWTN Nightly News and so much more, the network is a wealth of options that are sure to inspire, educate and entertain the whole family without the worry of exposure to any objectionable material. EWTN also offers radio programming. Pure Flix offers on-demand streaming of films that aim to impact the culture for Christ. While not specifically Catholic, Pure Flix has a wide selection of titles like Old Fashioned and Sarah’s Choice. VidAngel offers the “world’s largest collection of clean stand-up comedy” as well as a filtering system for content. 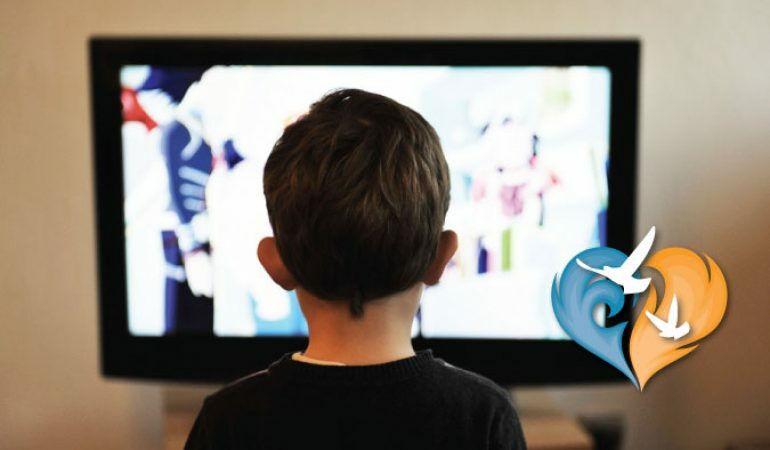 VidAngel give families the freedom and tools to watch movies while filtering out the content they find objectionable. A case can definitely be made for unplugging the television altogether. Certainly, there are more virtuous sources of entertainment. And we have a duty to protect our families and ourselves from the near occasion of sin which can all too easily be found on screens in our own living room. Additionally, as our Lenten TV fast taught us, it is especially important to teach children how to set boundaries for their viewing. 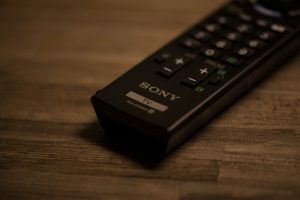 In breaking ourselves of the habit of mindless channel surfing, we all learned how to tune off the tube, but we didn’t create a desire for the forbidden. With the proper perspective and an exercise of wisdom, I don’t think families have to throw the baby out with the bathwater (or, in this case, the TV out the window). Television, like all media, has its place. It can be used as a tool for educating, entertaining and inspiring us, even in our Catholic faith.